I Love English 오늘은 한국의 최대 명절 가운데 하나죠? 추석과 관련된 다양한 영어 표현 알아보겠습니다. A: Hey! I heard last week was one of Korea’s most important holidays. What was the name of it again? B: It’s called Chuseok. It is one of the most celebrated holidays in Korea. A: Cool! So how do Koreans celebrate it? B: People return back to their family’s hometowns to honor their ancestors and enjoy traditional food and drink. A: Oh! I got it. So it’s like Thanksgiving in America. A: 있잖아! 지난 주가 한국에서 가장 중요한 명절 중 하나라고 들었는데, 그 명절.. 이름이 뭐더라? B: 추석이야. 한국 최대 명절 중의 하나지. A: 그렇구나! 한국 사람들은 추석을 어떻게 보내니? 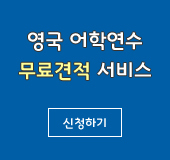 B: 고향으로 돌아가 가족들과 함께 조상을 기리고 전통 음식을 나눠 먹어. A: 오! 알겠다~ 그러니까 미국의 추수감사절과 같은 거구나. · I heard last week was one of Korea’s most important holidays. 나는 지난 주가 한국의 가장 중요한 명절 가운데 하나라는 것을 들었다. è 이 문장은 One of + 소유격 + 최상급 + 명사의 복수형 구문입니다. 여기서 뒤에 명사는 반드시 복수형(Holidays)으로 온다는 것 기억해두세요! ex) 가수 싸이가 한국의 유명한 가수 가운데 한 명이라고 들었어! I heard Psy is one of Korea’s most famous singers. · What was the name of it? 무엇인가 이름이 잘 기억나지 않을 때 쓰실 수 있는 표현으로, 그 이름이 뭐였더라? 라는 뜻입니다. ex) What was the name of the movie that we watched last weekend? 지난주에 봤던 영화 이름이 뭐였더라? ex) What was the name of the food that we ate yesterday? 어제 먹었던 그 음식 이름이 뭐였지? · It is one of the most celebrated holidays in Korea. è 이 문장은 one of the + 최상급 + 복수 명사 구문인데요, 가장 ~한 것 중 하나라는 뜻입니다. 이 구문을 이용한 예문을 살펴보겠습니다. ex) Trust is one of the most important factors in building relationships. 신뢰는 인간 관계에서 가장 중요한 요소 중에 하나이다. Kimchi is one of the most famous traditional dishes in Korea. 김치는 한국의 가장 유명한 전통 음식 가운데 하나이다. Titanic is one of the most famous movies in America. 위의 예문에서 보듯이 factors, traditional dishes, holidays, movies 명사 뒤에 모두 (e)s 가 붙었죠? One of 최상급 다음에 나오는 명사는 항상 복수 형이라는 것 꼭 기억해 두세요! · I got it : 알겠어. 이해 했어. 즉 I understand what you mean의 의미인데요, I got you, I get it, I see, I understand what you mean,과 같은 뜻입니다. 반대로, ‘난 네가 무슨 말을 하는지 모르겠어. 이해가 안가’ 영어로는 ‘I don’t get it’, ‘I don’t understand what you mean’, ‘I don’t see your point’로 표현할 수 있습니다. ex) A: This is how Koreans bow to their elders. 한국사람들은 이렇게 큰절을 올려. B: Oh! I got it. Like this? 오! 알았다. 이렇게 말이지? A: Don’t ever talk back to your mom again. You got it? A: Do you see what I mean? A: Are you with me? B: Sorry, I don’t understand what you mean. è 여기서 like는 좋아하다는 뜻의 동사로 쓰인 것이 아니라, ~같은 ~처럼 의 뜻의 전치사로 쓰였습니다. 이렇게 like 가 ~처럼의 의미로 쓰인 예문을 살펴볼까요? ex) You look like one of the celebrities in Korea. 너 한국의 유명인사 중 한 명하고 닮았어. ex) You look exactly like someone I know. 당신은 제가 아는 어떤 사람과 꼭 닮았어요. ex) You don’t look anything like your older sister. 당신은 당신의 언니와 하나도 닮지 않았어요.